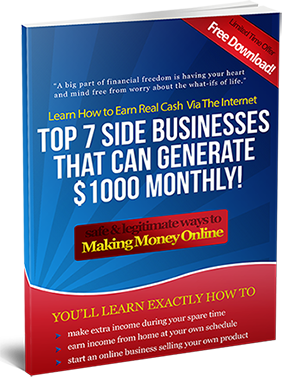 Hundreds if not thousands of people are desperately searching online on how to make money without spending a dime. This is a timeless question that so many folks would want to know that answer. While a few lucky people find the answer, most will continue to struggle to find that real way to earn money on the internet without spending a dime. Well, there is no shortcut to success. But of course, there are free ways to which you could earn some cash without having to spend that last nickel from your wallet. All you need to have is the willingness to put in some time, effort, determination, as well as willingness to learn new skills. In this post, we will discuss three of the most practical methods to make money online without having to spend money. One is by offering your service, second by selling other people’s products or services, and the third is by writing articles. When offering services online it doesn’t mean that you need to be a professional. For example, a good skill about setting up and managing a WordPress based site can land you a job in many freelance sites. Such service can be in demand for the reason that many people work online they all have some kind of tasks that need to be done. At times they need to employ other people to do a certain task. One of the popular sites where you can get an idea on what kind of service to offer is Fiverr.com. Browse the site and determine the most popular and most popular gigs out there and see if you can offer the same service. Selling other people’s products and services is actually one of the most primitive ways to make money online for free. This money making method is more popularly known as affiliate marketing. The process is simple, promote a product and earn commission when you make a sale. There are thousands of affiliate marketing programs on the internet which you can join for free. Get away from affiliate marketing sites that require you to pay upfront money in order to be accepted as an affiliate. Better yet, go ahead and join the most reliable affiliate networks such as Clickbank, Commision Junction, and Amazon. Writing articles is not surprisingly one of the most in demand service online. The internet is composed mainly of text and many webmasters require a steady supply of articles to feed their sites and blogs. You may want to offer your writing services to such website owners. You can find them on forums and freelance sites such as odesk. If you are really good at writing then you can actually offer it as a gig on Fiverr.com. There are a lot of sites that allow you to make money writing articles. Keep in mind that you don’t need to pay money in order to get access so-called lists of articles sites where you get paid to write articles. A simple search using Google will help you discover sites that allow you to make free money by writing. This is certainly probably the most informative make money article I have read through in my quest to blogging for money. The quantity of information in here is actually helpful in many ways, and yo could apply some of the details provided here. Your blog is ideal for anybody who wants to understand the topic about how to really make money online. Great stuff; please continue the good work!